Madrid is the capital of Spain, and one of the most modern and forward-thinking cities in Europe. 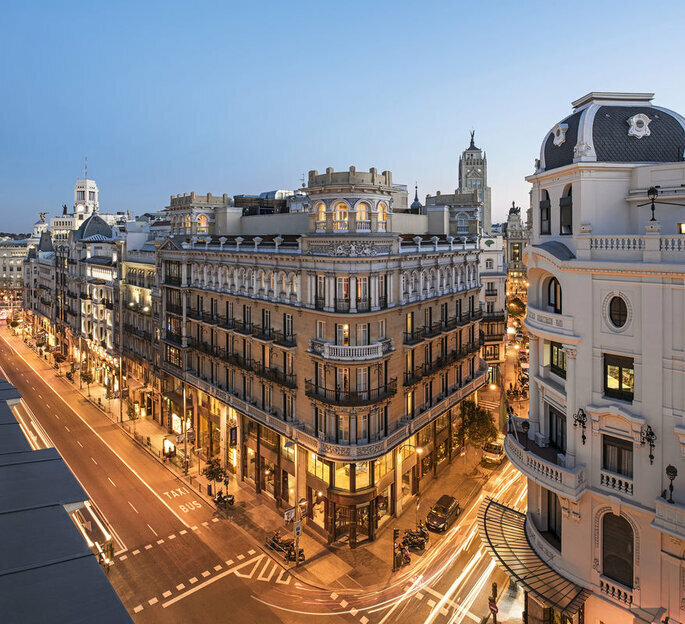 With some of the most gorgeous buildings in the world – including the largest palace on the continent – and a city centre designed to create a perfect balance between nature and innovation, Madrid is simply stunning. Though its streets bustle 12 months of the year, and you’ll have to call ahead if you want to eat out at the same time as the locals, Madrid is a never-ending collection of bars, restaurants, museums and yes, you guessed it, more places to eat. 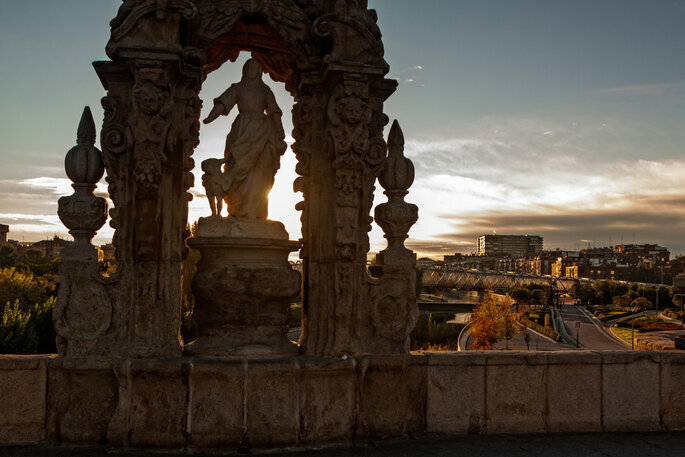 Madrid has been the beating heart of Spain since the Reconquista movement in the 15th century formed the country that we know and see today. And whilst there isn’t a beach within two hours of the city centre, this is the perfect destination for a city honeymoon where you can take the time to sightsee and enjoy the luxury and opulence that this modern city has to offer. 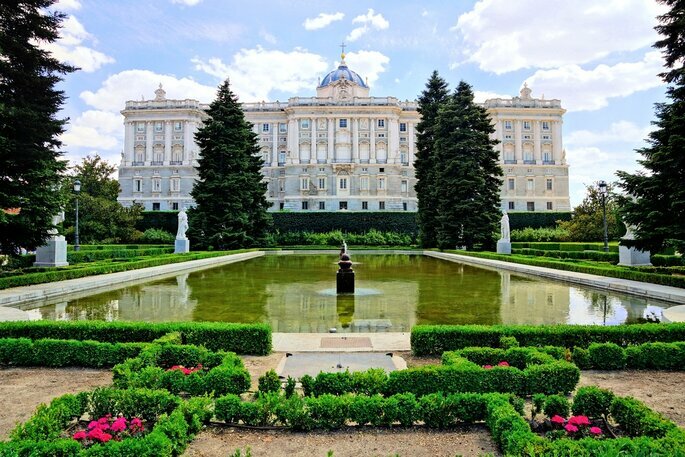 Though it has some beautiful historic features – including the aforementioned Palacio Real de Madrid, and others such as the San Jerónimo Cathedral and the Plaza de Cibeles – Madrid is youthful, lively and totally contemporary. Madrid is a sprawling city, much like London; it doesn’t start in one place and end in another – and though the Puerta del Sol is the geographic center, it has no true center. 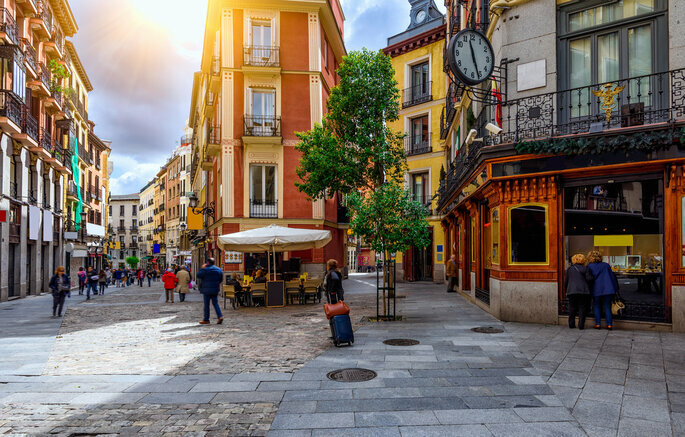 Instead, Madrid is composed of thousands of interconnecting streets that will allow you explore every hidden corner and every unique and original space. You truly could walk for miles! Not to mention that its architecture is always worth taking the time to admire – the rustic style, the bright colors, and the permanent floral additions will create a really romantic atmosphere for you and your new spouse! One of the best things about Madrid is how multicultural it is. Whilst the number of Spanish-speakers far outnumbers any other languages, you will easily find someone who speaks English (or French, or German, or Japanese, or Turkish…), and you’ll rarely find yourself in a situation where no one will be able to understand you. In terms of money, Madrid uses the Euro and so if you fancy doing a little bit of exploring across the continent, you’ll not have to worry about swapping currency. And as for the best time to go? It’s hot from April through October – but avoid peak months July and August if possible! As aforementioned, there are a lot of historic places to visit. The Palace is simply astounding, and you can take an audio guided-tour for less than €10 (book in advance if you want to avoid hideous queues! ); the gardens are also well worth touring! Retiro Park is perhaps the only place in Madrid where you take a bit of a breather from the crowds. 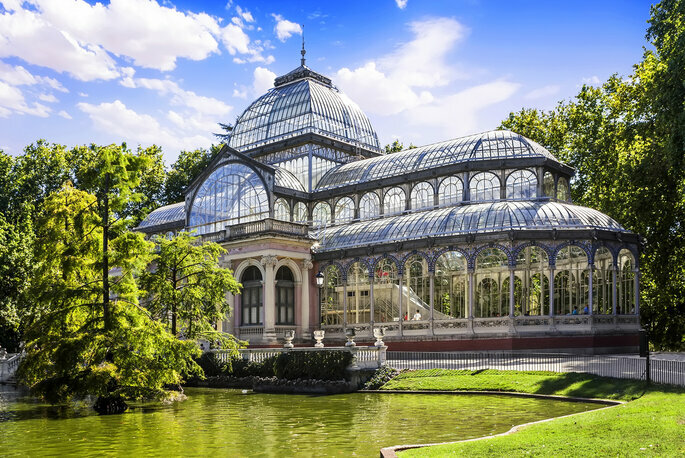 This huge park complex stretches for acres in the middle of the city, and is also home to the beautiful Palacio de Cristal which you can find on its grounds. During the summer months, you can also take a boat out across the lake – which you will need when it hits 42°C! Another park worth visiting is Casa de Campo, where you can take an Aerial Tour in a cable car across the city – it’s a view that will make everyone at home jealous! Madrid is a gem for museums. The main three – the Prado, the Reina Sofía, and the Thyssen – are all located south of Puerta del Sol, and are worth popping into (and have free entrance at various times during the week too!). However, check out the CaixaForum for some fascinating pop-up exhibitions, and keep an eye on the Palacio de Gaviria for their latest art collections. Spain can brag about being home to some of the world’s best artists. 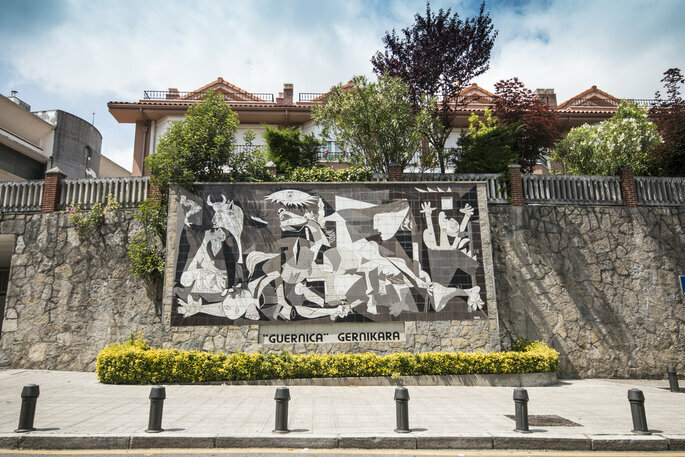 In Madrid you will find such historic pieces as Guernica by Picasso, Saturn Devouring His Son by Goya, and Las Meninas by Velázquez. Spain is incredibly proud of its culture, and this shines through in the amount of “traditional” activities there are to participate in. 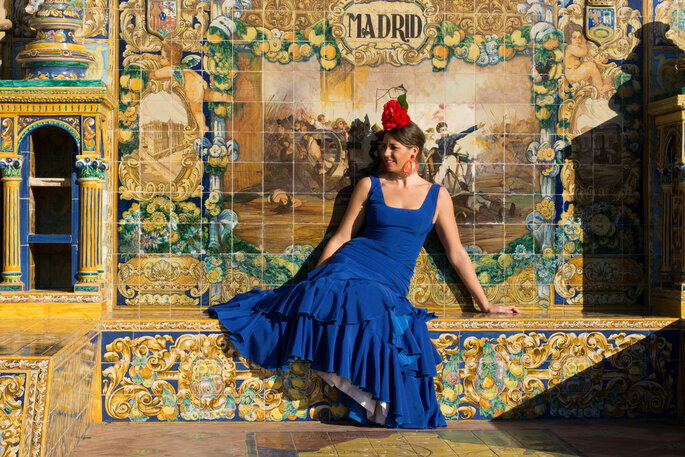 You can have a meal alongside a flamenco show in many places around the city, and you can also enjoy a traditional Spanish opera or ballet (depending on the season) at the Teatro Real. And keep an eye – or an ear – out for the buskers on the metro: some of them are pretty good! 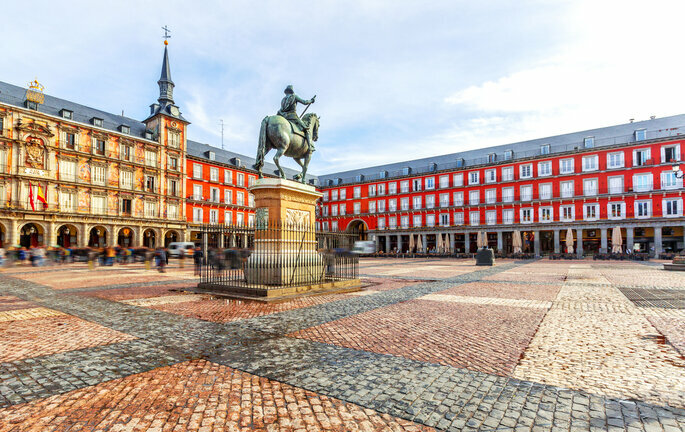 Madrid is beautiful, but so are many parts of Spain – and if you’re taking a 2 hour flight, then it is well worth using a few days of your honeymoon to explore the surrounding areas! 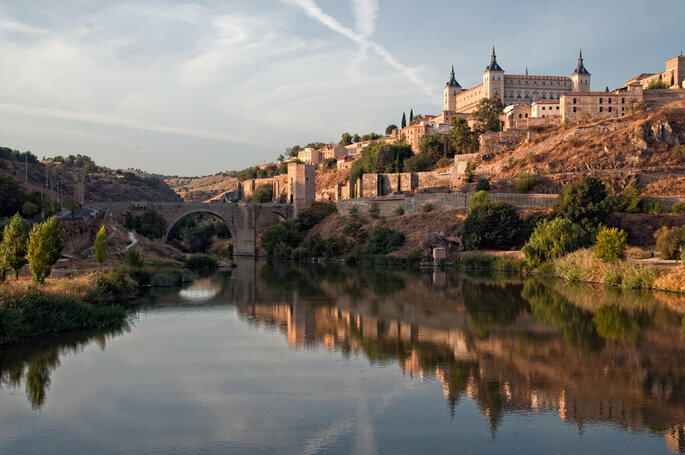 One of the most easily accessible places you can visit is the historic town of Toledo. Totally picturesque, Toledo is only half an hour from the city centre via the Renfe, or an hour via bus (with the latter option coming in at only €5!). And it sure is worth the travel! A unique experience that will truly immerse you in Spanish culture, check out the Alcázar, the Monasterio de San Juan, and the Mirador for a fantastic view of the whole town. Another place near to Madrid that you have to visit is Segovia. 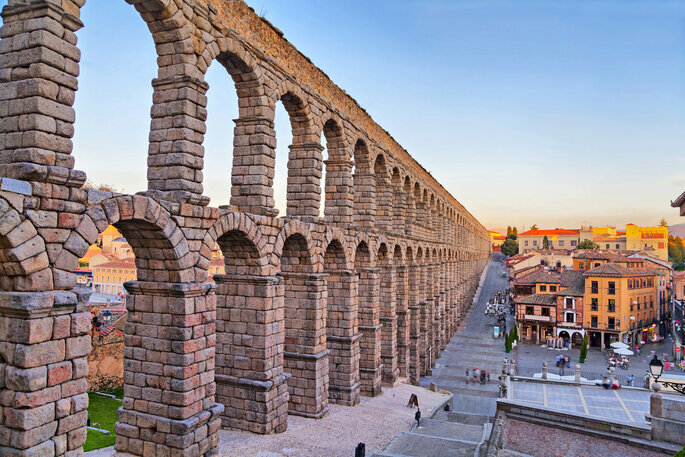 One of the best places in Spain for a day-trip, get there at sunrise or sunset to enjoy the full effect of the incredible Aqueduct, which is said to have been built in the Roman times, and still stands to this day. Whilst here, you should definitely try cochinillo (roasted suckling pig), which is a Spanish delicacy and native to Segovia – and if you really want to put an exquisite touch onto your time here, you could go on a specialised wine tour of the region! The nearby town of Agila is also well worth a visit if you have time. However, if you’re dreaming of visiting the Spanish coastline on your honeymoon, then you don’t have to miss out by staying in Madrid! Spain’s cross-country rail system is amazing – we’re talking airplane-style cabins with immense amounts of leg-room! – meaning that you can get to hotspots like Barcelona, Malaga and Granada within 2-3 hours. Of course we would recommend that you take a few days to be able to explore these amazing cities in themselves – and would definitely put emphasis on Granada. The Alhambra Palace complex is the most visited attraction in Spain – and for a reason. This stunning building was built by the Nasrid sultans before the Catholic invasion in the 15th century, and so echoes the typical architectural style of the Iberian Muslims – it is truly breathtaking! And of course, one of the best parts of Granada is its array of beaches where you can shake off the city and relax by the temperate waters. 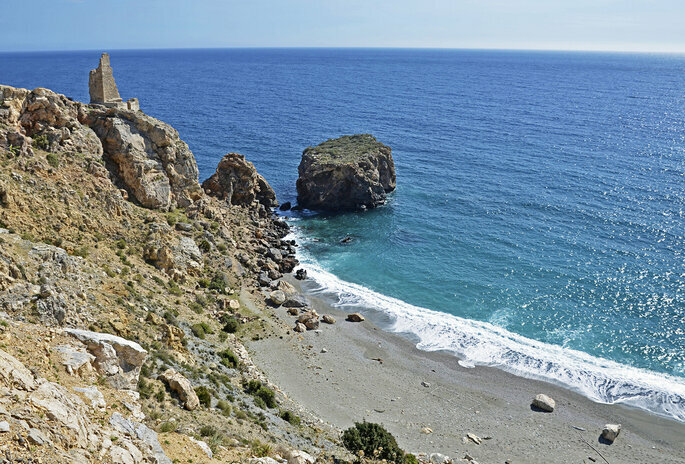 For white-sand beaches and crystal blue waters, there is nowhere in Spain that can compete with this part of the coast; known as the Costa Tropical due to its warm climate during the summer months, Granada boasts many spaces where you can relax on the sand and enjoy a romantic honeymoon. You won’t regret travelling here! Madrid might be pretty far from the sea, but you can always be assured of fantastic (and fresh!) seafood in the city center. 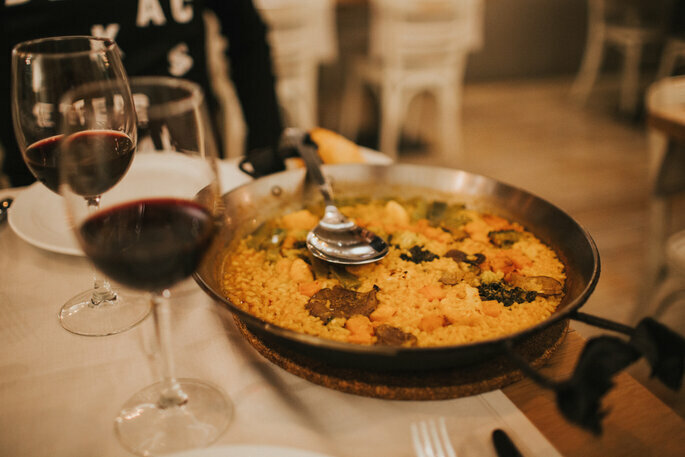 Spain is infamous for its paellas, bacalaeo pil pil, and octopus delicacies, and you will be able to find all of these in just about every restaurant in the capital. For a truly special meal, you should head to the Mercado de San Miguel near Plaza de España – here you will find vendors aplenty, each varying in the food and drink they offer. Replete with traditional Spanish wines and desserts, alongside the aforementioned dishes, this is where the foodies will really have their fun. However, perhaps Spain’s defining style of meal is tapas. When we say there are thousands of tapas places in Madrid, we’re not exaggerating. 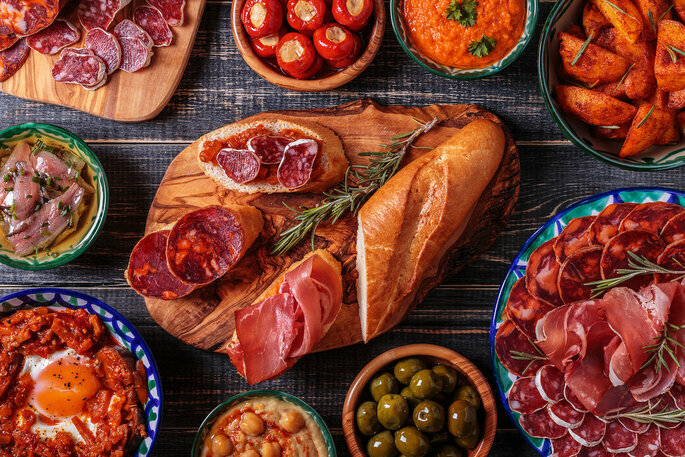 Down every street you’ll find a place to enjoy a good tapas menu – but bear in mind that you don’t have to spend a fortune to get good food in Madrid! You can try some amazing dishes – from traditional Spanish tortilla to jamon ibérico to patatas bravas to lamb albóndigas and a hundred others! – for a reasonable price, alongside a glass of tanto de verano or sangria. Madrid is huge, and very well connected via bus, metro or train. Therefore, even if you stay a little further out the centre – where you’ll have a little more quiet, and at a lower cost too – you won’t struggle to get about (although avoid line 6 where possible!). There are thousands of Airbnbs in the city if you want something affordable, but if you’re after a bit of luxury to celebrate, then we have two solid recommendations for you. Gran Vía is the Times Square of Spain. It is home to all the major Spanish labels, and is a feat of architecture the likes of which simply do not exist in the United States. This is one of the best places in the country, and to stay here means that you will be living like royalty for at least a few days. The Hotel de Las Letras is the best of a very good group of hotels, and have some wonderful spaces on offer for newlyweds. 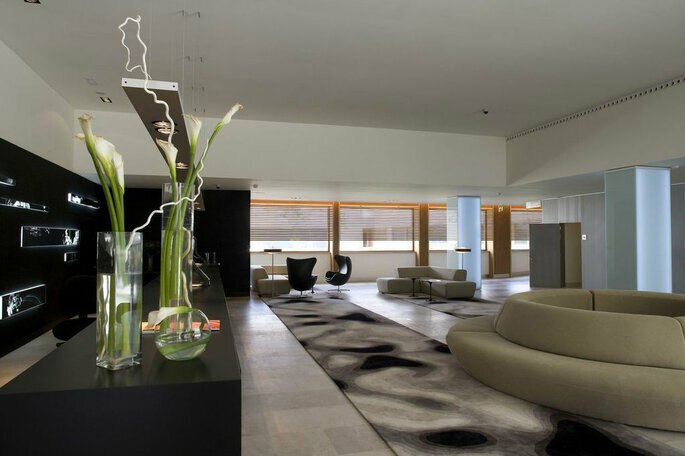 However, if you want something out of the very center, then the Parador de Alcalá de Henares is a fantastic alternative. Rustic and traditional on the outside, and incredibly modern on the inside, you’ll enjoy a smooth trip by staying here. Madrid is an interesting mix of old and new, but wherever you go and wherever you stay, you can be assured of a friendly face, and some incredible sights to see. 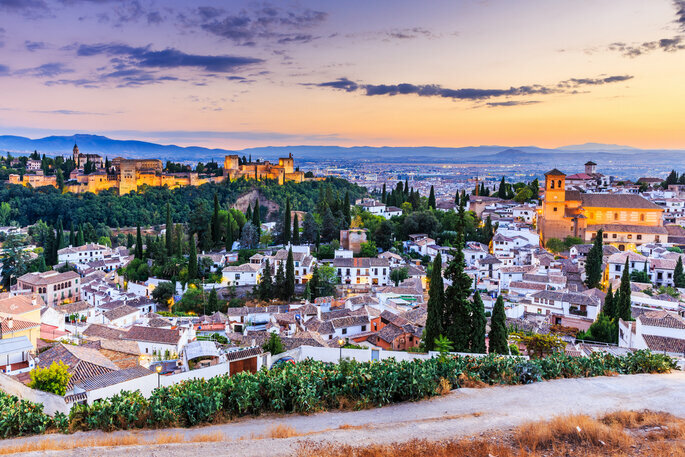 For a trip based solely in Madrid, then we recommend a week – however, if you’re up for a bit of First-Class train travel, then take 2-3 weeks and explore outside of the capital to places like Granada and Sevilla. Either way, you will have an awesome time in Madrid – just remember to pack sunscreen if you’re going in the summer, or you’ll be remembering it for a long time after you get home!